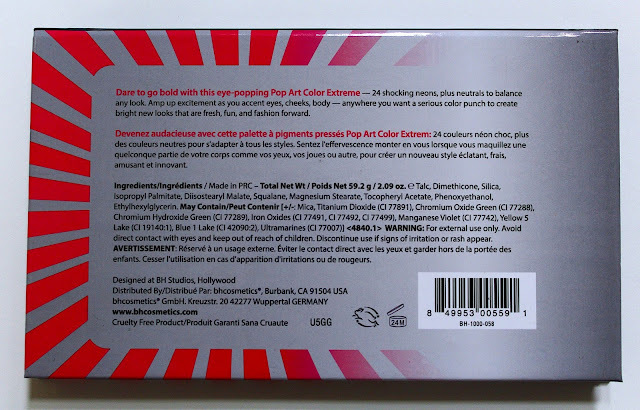 When I first saw the Pop Art Color Extreme Palette on BH Cosmetic's website, I knew I had to have it. 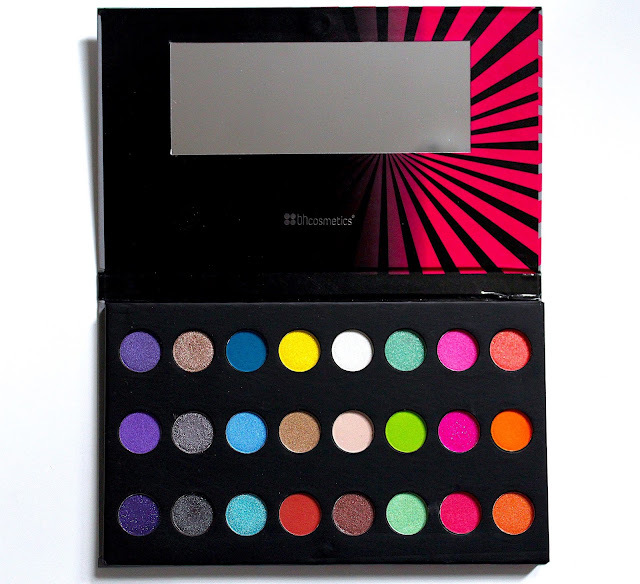 Instantly, it reminded me of a much more affordable alternative to the Anastasia Beverly Hill's Artist Palette. While the ABH palette has only 12 bright shades, the BH Cosmetics palette has twice as many that are just as pigmented and versitile in creating makeup looks. 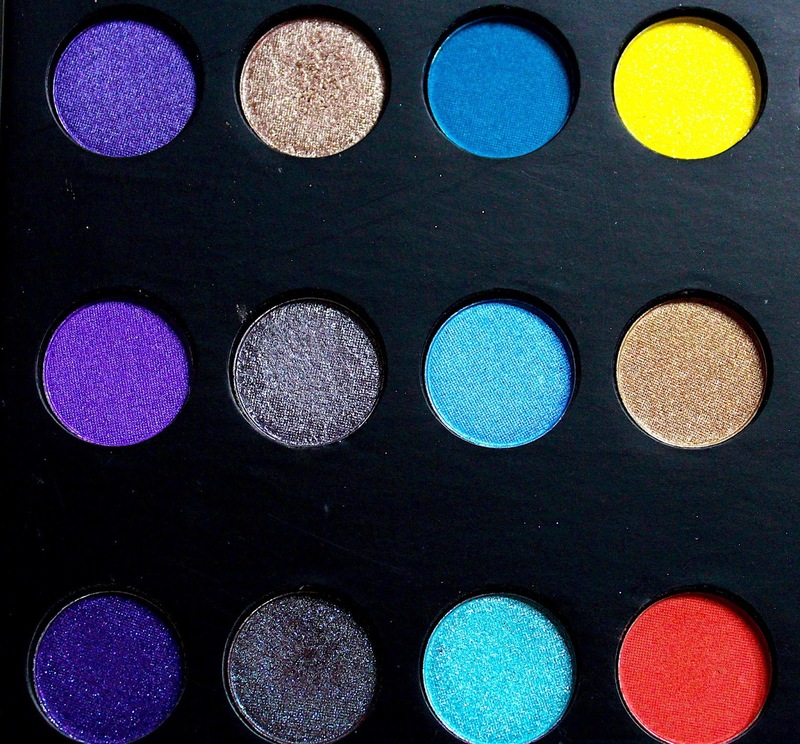 Even better: the BH Cosmetics palette is half the price. Creativity comes into play when working with a palette like this. 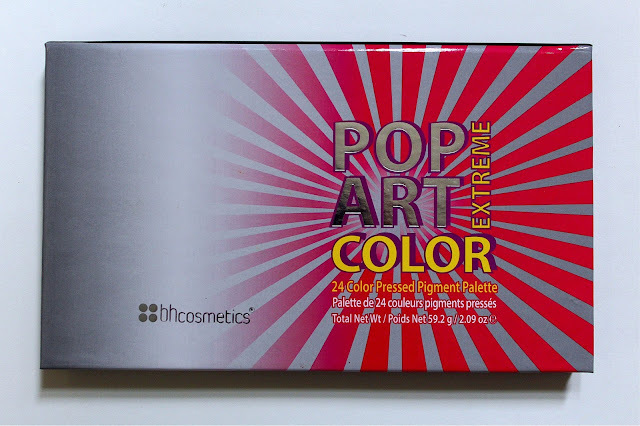 I love to use the "pop" shades for highlighting and emphasizing specific areas of the eye, such as the inner tear duct, the thick corner of winged eyeliner, or beneath the lower lash line. The rules are meant to be broken when it comes to an artistic color palette. You can create a bright pink cut crease with shimmery orange tear duct highlight, or shimmering periwinkle purple over black winged eyeliner. The choices of what to accent are limitless. The Pop Art palette has a combination of neutrals to balance a look and hot neons to spice it up. BH describes it as "multi-use," meaning you can use it anywhere on the face, eyes and body. This type of use would be perfect for creating entire face and neck Halloween or special effects makeup designs. The texture of the shadows are soft and easy to blend. My favorites are the soft sparking brown, which could be a dupe for ABH Artist Palette's Baby I'm A Star, the bright shimmering Barbie pink, and cool shimmering mint green. There is an even balance of light and dark shades and I'm sure I'll find myself reaching for this palette throughout the year. Overall review: colorful, fun, and an excellent value. 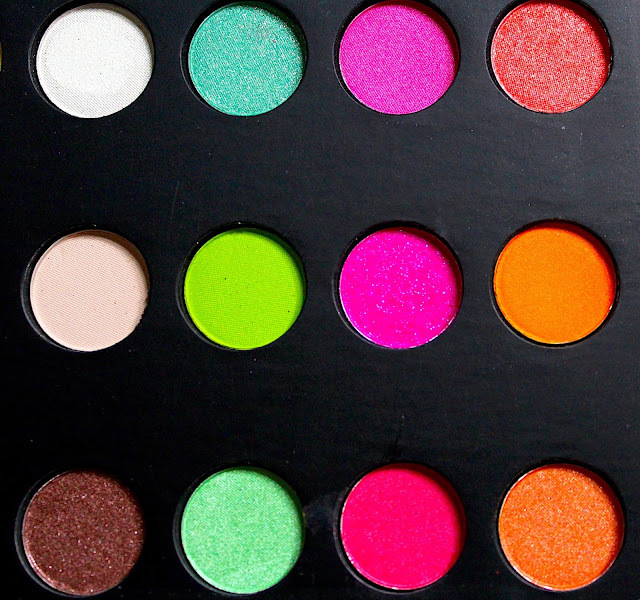 Anyone that enjoys makeup and creating a variety of makeup looks will love this palette. 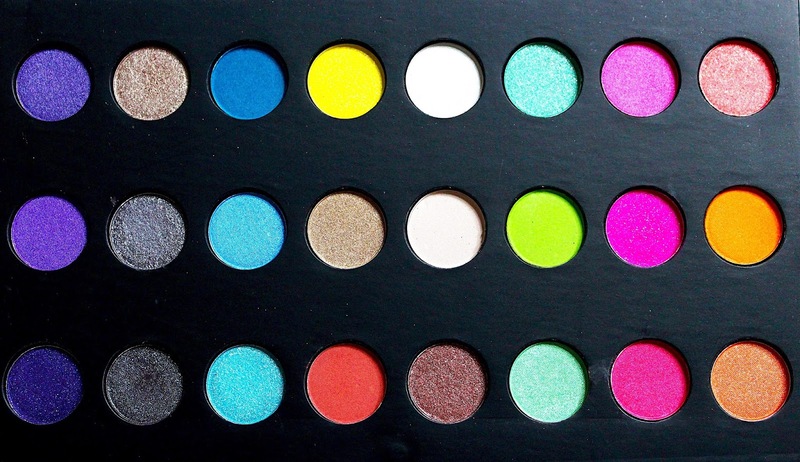 Are you a fan of palettes like this with out-of-the box neon eyeshadow shades? Do you know of any other dupes or comparisons?